A high quality ceramic caddy with a bamboo lid. 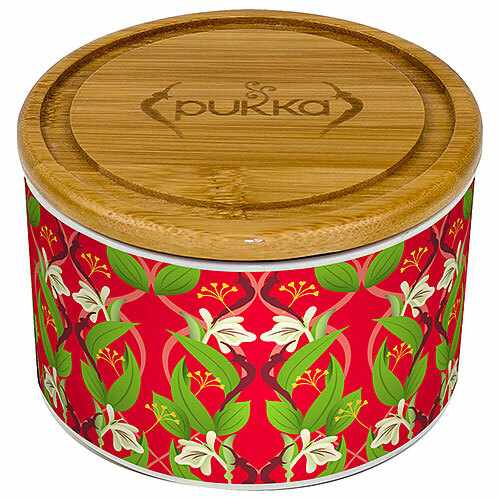 Perfect for storing your favourite Pukka teas. Stores teabags, and keeps them fresh. Not suitable for dishwasher or microwaves. Does not include teas. Measurements: width approximately 12cm and height 8cm. 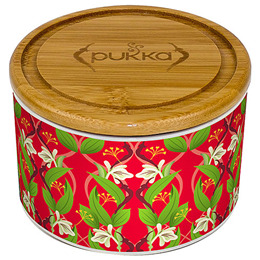 Below are reviews of Pukka Revitalise Ceramic Tea Caddy by bodykind customers. If you have tried this product we'd love to hear what you think so please leave a review. Very pleased with this caddy...so pretty and keeps tea nicely fresh. Looks as good as in the picture, good airtight lid, and safely shipped at a good price.